Attention-Deficit/Hyperactivity Disorder (ADHD) is a common childhood disorder that can have serious consequences for academic, emotional, social, and occupational functioning. When properly identified and diagnosed, however, there are many interventions for the disorder that have established benefits. This volume is both a compact “how to” reference, for use by professional clinicians in their daily work, and an ideal educational reference for practice-oriented students. The most important feature of this volume is that it is practical and “reader friendly”. It has a similar structure to others in the series, and is a compact and easy to follow guide covering all aspects of practice that are relevant in real life in the assessment and management of ADHD across the life span. Tables, relevant case studies, and marginal notes assist orientation, while suggestions for further reading, support groups, and educational organizations are provided for individuals and professionals. A companion volume Attention-Deficit/Hyperactivity Disorder (ADHD) in Adults is also available. "This book, like all in the series, is designed to be brief, focused, and authoritative … for the pleasure of busy practitioners who need targeted, diagnostic treatment guidance for specific populations. 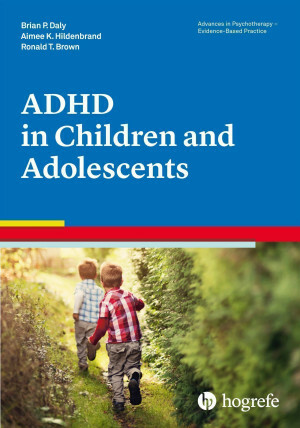 The book does an excellent job of describing the many etiological components and enumerating those factors that, although not causative, impact patient presentation and severity of ADHD symptoms in children and adolescents. The books’ authors are extremely rigorous in their review of extant research, culminating in a “how to” book with well over 250 references, which is impressive. This little book is an informative addition to a practitioner’s professional library and does a good job laying the foundation for the expansion of ADHD services into the world of children and teens." Robert J. Resnick in PsycCRITIQUES, 61(8), 2016. "Anything and everything you might want to know about assessment and management of ADHD in children and adolescents is presented in this concise, evidence-based, 84-page guide. No fluff and no filler - this book is to the point and each page presents information that is extremely useful and relevant in real-life practice. [It] is an easy-to-use, quick reference for clinicians and other professionals in the field of mental health, as well as graduate students completing internships. As a busy clinician, I find the most important aspect of this book is its user-friendly format that makes it extremely helpful for practitioners who need to locate pertinent information quickly. I highly recommend this as the absolutely essential, go-to reference guide for anyone who treats children and adolescents with ADHD."